Returning to the Hungaroring for the second day of testing, Kimi Raikkonen didn’t have much to say about his final day of work before the summer holiday. 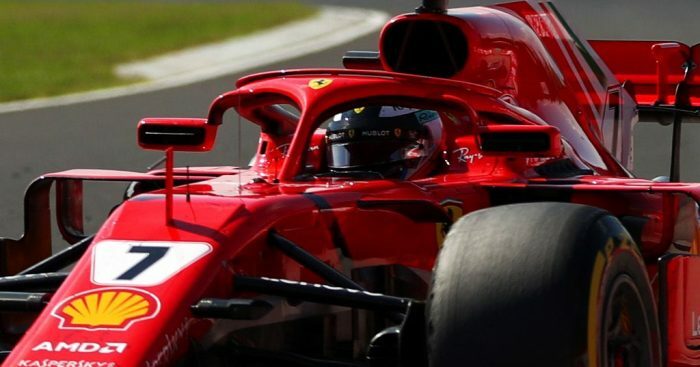 The Finn replaced Antonio Giovinazzi in the SF71H for Wednesday’s running. Raikkonen spent most of the day sitting up in P1 only to be pipped by Mercedes test George Russell in the afternoon’s session. The Ferrari driver returned to the track and lowered his time to a 1:15.649 but missed out on P1 by 0.074s. Raikkonen, who focused on various set-up solutions and tyre testing, covered 131 laps in the Budapest heat. “In the end, it’s not that different to a Friday at a grand prix,” said the driver, “when you try out various solutions.